Since its inception six years ago, PGA Junior League Golf has been one of the hottest programs in kid’s golf…and Little Linksters has been involved from the start! This team concept, with a look and feel of Little League, is an awesome way to get kids involved in our sport, in a much more social and friendly atmosphere…far less intimidation that might exist for some as they first get into golf. Our regular season runs from May through August and our “Off-Season” program runs from September through April. Find out more below! This year our goal is to field THREE 13U teams, and ONE 17U team at Wekiva Golf Club and ONE 13U Team and ONE 17U team at Eagle Dunes Golf Club who will join in a league with other teams from Central Florida! The Schedule will be released by the second week of April and the season starts the first week of May. Practices for our teams at Wekiva Golf Club will be on Wednesday’s and Thursday’s from 5:30-7:30. 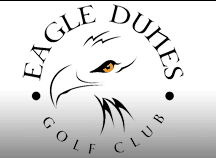 Practices for our teams at Eagle Dunes Golf Club will be on Monday’s and Tuesday’s from 5:30-7:30. Our PGA Jr. League Players Receive Coaching and Guidance From an Award-Winning and Recognized Team of Coaches, Organized Team Practice Sessions and Regular Matches are held Within the League. Check out this short video that shows you what it’s all about. Two, 2-Hour Practices Per Week From May-August…More than any team in the area! Please just give us a call or shoot us a message. We want to make sure you and your little linkster(s) are happy, excited and comfortable!